Every now and again E and I are fortunate enough to remind ourselves that we are in fact, "real people," in-love, in our mid-twenties. When this sensation occurs we try and find an opportunity to take ourselves out on the town; and tonight happened to be one of those one of those nights. 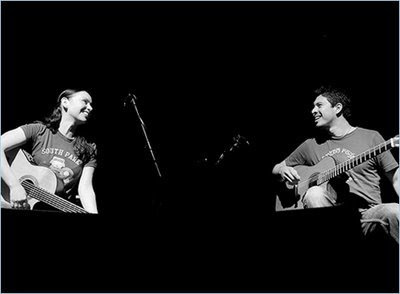 We had the great fortune of seeing one of our favorite groups, Rodrigo Y Gabriela at the Ballroom. We actually made ourselves dinner, met friends for drinks, and danced the night away. Yes, yes and yes! Hooray! And here's to being humans. Cheers!